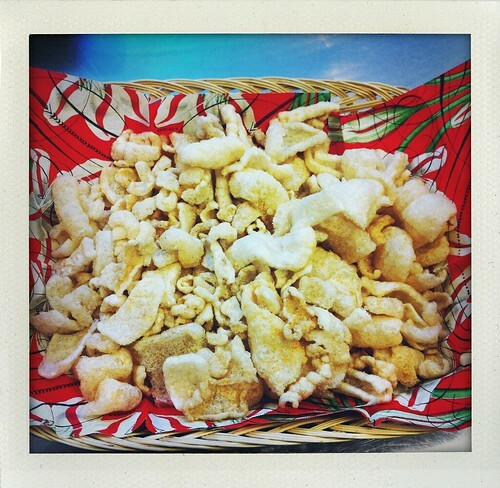 I discovered this basket of chicharrones at work and was compelled to eat one by a co-worker. Yes, they're high-class pork rinds. They are crunchy for the briefest of moments, then they begin to melt in your mouth and coat your tongue with their fatty goodness. The spicy hint comes later. I'm glad I tried one, but I need more crunch to be satisfied. Which reminds me, "Where are my Ruffles?!"